This simple childlike logic demonstrates a wisdom towards God we often lack.. Like maybe, just maybe there are things about God that we don’t understand! That maybe we have doubts about God that are based on our limited knowledge – maybe there are ways that God speaks to us that we are too stubborn to accept. As I read through the pages of scripture I see many incomprehensible things.. things that defy logic, though circumstances unique to that one situation. All such stories are familiar to our ears, yet too often familiarity breeds contempt, and we dismiss the enormity of their truths.. ignoring the valuable lessons within. But the physical walk of these bygone days demonstrate spiritual lessons for us. But it all comes back to trusting God, even when things look impossible. 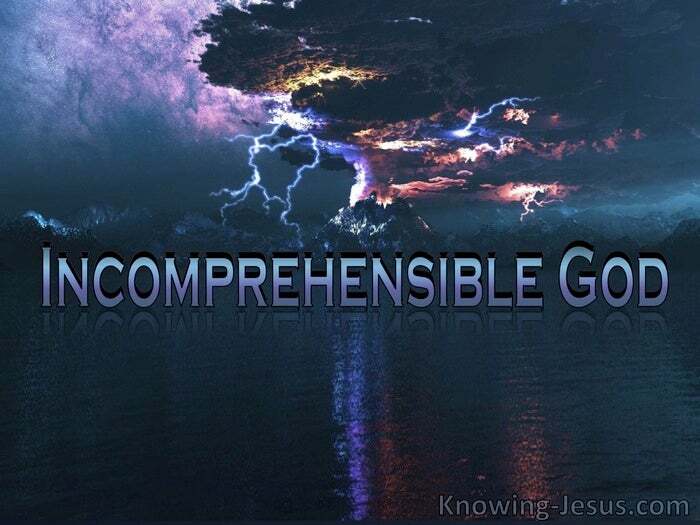 I believe that the first lesson we should learn is that God is incomprehensible. All that God is and all that God does is beyond our field of knowledge. He is beyond time and space. He is beyond imagination and perception. He is beyond touch and taste. He is beyond sound and sight and smell. He is beyond our dimensions – beyond all we could ask or think – all that we could visualise or conceive in the limitations of our humanity. Yet in a tender, personal and incomprehensible way, God makes Himself known.. known to the humble heart, that longs to know Him – not the learned mind seeking to unravel His thoughts or plans or ways or times. Some months ago I read a little-known work called ‘The Cloud of Unknowing’. 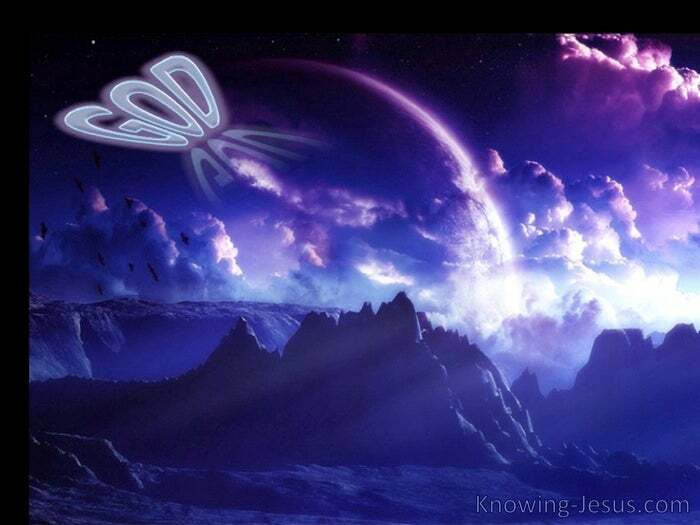 It describes a sincere seeker, longing beyond all else, to know God and live in Him. It shows that through his own limited understanding, he will never see God, and all his own developed perceptions of God will be denied. God will be present, yet He remains aloof, above a cloud of unknowing.. and yet, by His grace – faith in this incomprehensible God will win through – and all false perceptions of God, one by one, will have been eliminated. As Frederick Faber wrote:-Darkness to the intellect, yet sunshine to the soul. God has disclosed much about Himself. With every passing century illumination through His prophets increased, and finally the greatest revelation of the Incomprehensible God came through Christ – and we (by faith) have the mind of Christ. Many minds have sought to unravel this incomprehensible God, but the Spirit-inspired Scriptures, points to the Person of the Lord Jesus Christ and show Him to be greatest ‘tool’ to discover this amazing God. And Spirit-led truth, through a heart totally committed to serving Him, is the tried and tested way to discern this incomprehensible God.. for no imaginative perceptions of the human intellect will unveil Him to us. Tozer put it this way: while the name of God is secret and His essential nature is incomprehensible, He in condescending love has by revelation declared certain things to be true of Himself. These we call His attributes. So if you want to know God.. to really really know Him, rid yourself of all the false imaginative perceptions you’ve developed about Him, and just believe His Word and trust His love and accept His revealed attributes, which may conflict with your developed perceptions.